Ellipse-D inertial navigation system. Photo source: SBG Systems. 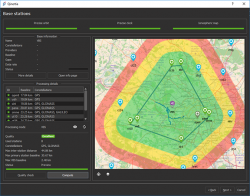 VIAMETRIS has chosen the Ellipse-D inertial navigation system from SBG Systems to equip their new SLAM-based mobile mapping system: the vMS3D. 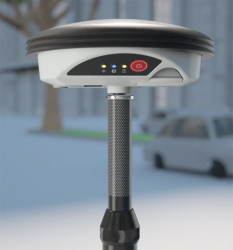 The vMS3D is a complete mobile mapping solution which combines inertial, GNSS, and SLAM technologies designed to offer an economical option with optimal performance. Cathedral of Monaco. Wikimedia Commons photo by Berthold Werner. The International Hydrographic Organization (IHO) is the inter-governmental consultative and technical organization whose principal aim is to ensure that all the world’s seas, oceans and navigable waters are adequately surveyed and charted. The Organization, based in the Principality of Monaco since 1921, provides the international standards for hydrography and nautical charting as well as ensures co-operation between countries in support of navigation safety at sea and the sustainable development of their maritime environment. 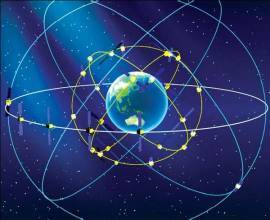 Qinertia INS/GNSS post-processing software. Photo source: SBG Systems. Rueil-Malmaison, France-based SBG Systems will unveil Qinertia, its in-house post-processing software, at the Ocean Business show, April 4-6 at Southampton, U.K.
After the survey, this full-feature software is designed to give access to offline real-time kinematic (RTK) corrections, and process inertial and GNSS raw data to further enhance accuracy and secure the survey. Photo source: Dee Ann Divis. 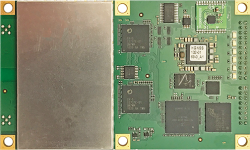 Ligado, which has been in a standoff with the GPS community over interference issues for more than six years, is developing a new high-precision location (HPL) augmentation system for GPS. The new HPL service will use real-time kinematic- (RTK-) based solutions for augmentation of high-precision receivers, said Tamara Casey, Ligado’s chief technology officer, during Satellite 2017.